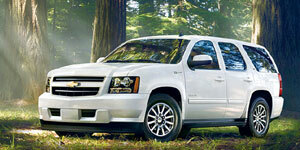 JOHN CORNYN EXCLUSIVE! If everybody else had these stories they wouldn't be exclusive. THE TEXAS VIRUS Ripped from the headlines at record speed this movie of the week on Texas BBS "We got the sauce" stations is a suspense packed drama. 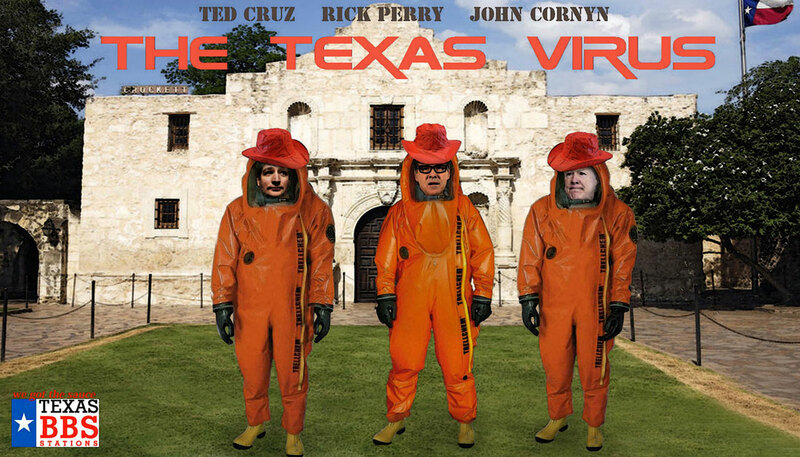 It starts at a private GOP fundraiser held at the Alamo in San Antonio with some suspicious gulf shrimp dip. At first people felt euphoric and wrote checks for large donations but then when they started spitting flames like butane lighters the Texas Haz-mat Volunteer All Stars were called. Within 5-7 days they responded but by then it was too late. 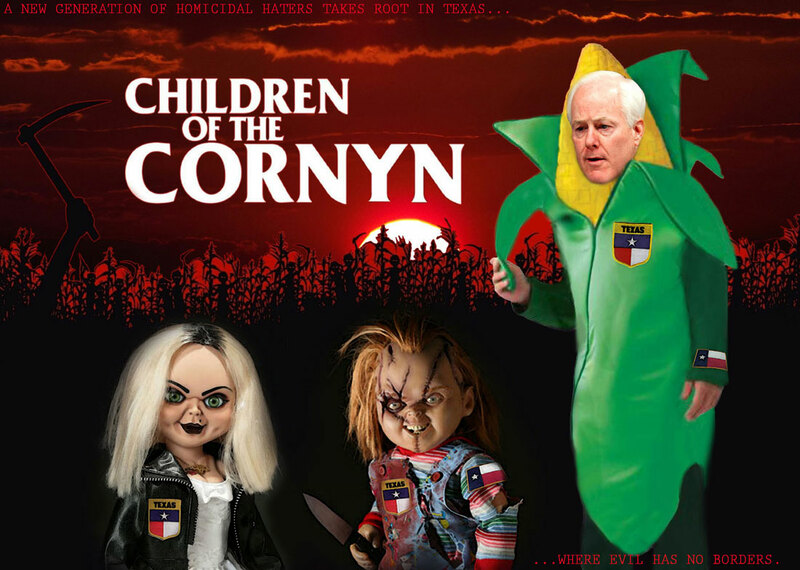 CHILDREN OF THE CORNYN is a horror drama about the effect of the continuous hateful rants coming out the mouth of a Texas Senator up for reelection played by Republican Senator John Cornyn. Cornyn goes around hate talking in order to win the Texas tea party crazy vote but the consequences arrive unexpectedly with a new generation of homicidal Texas toddlers murdering their liberal nannies for the Corn Lord. Texans were surprised to wake up and find their land of freedom had been turned into a laboratory breeding ground of repressive government intrusion into citizen's personal lives. 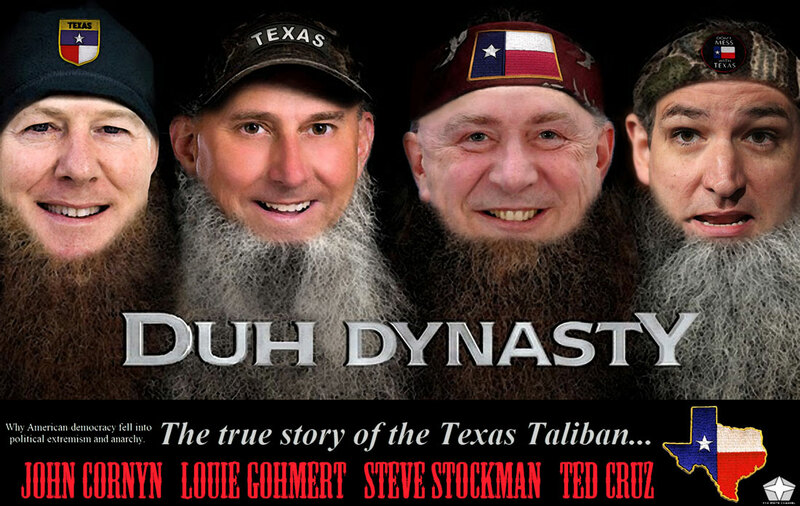 The in depth story of how the Texas Taliban accumulated power, suppressed opposition and rose to political dominance over an inattentive Texas electorate. Was Obama behind a successful conspiracy to make Texans look foolish?